It has been a busy week, High Beeches is showing some of their Rhododendrons at the early Rhododendron Show at Wisley this weekend. 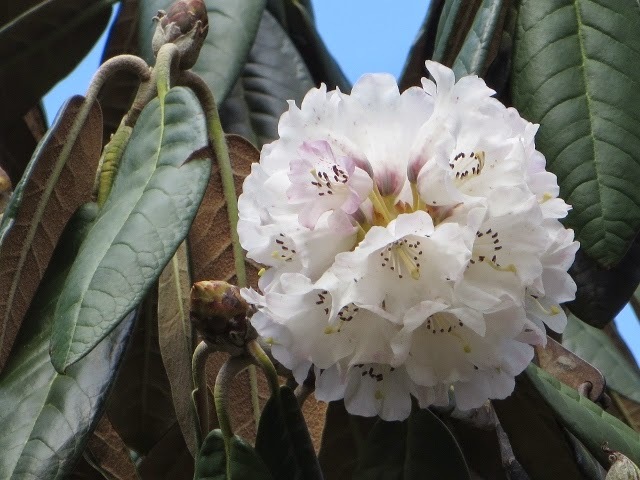 An opportunity to see some of the best Rhododendrons growing in this country being exhibited by both professionals and amateurs. 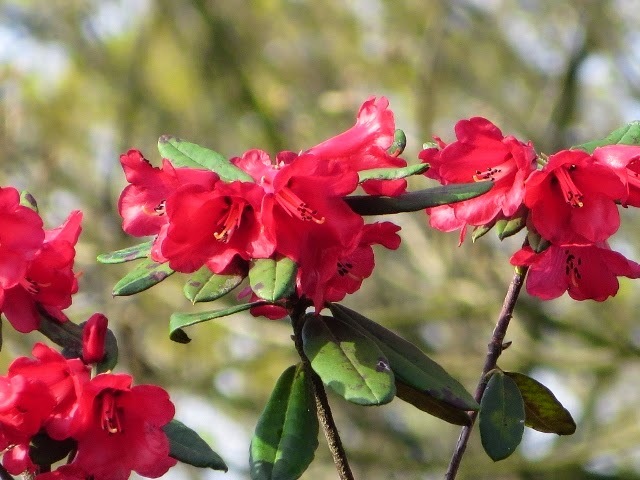 The three Rhodos opposite are just some of those that have been selected from High Beeches Garden for the show bench. A good year for species although in another week or two the hybrids will be at their best. Showing means a change of routine in the garden for staff. The hunt for the perfect bloom or spray can be challenging as many of the larger Rhododendrons are 10 metres + in height and are often on a slope. A certain amount of ingenuity is called for as well as a great deal of care so as not to damage the chosen bloom.